Dwarf Fortress, the astonishingly elaborate and in-depth simulation of a community of dwarves settling somewhere in the middle of a vast randomly-generated world, is getting a graphical update, a price tag, and a launch date on itch.io and other game stores. The core game will remain free of charge. 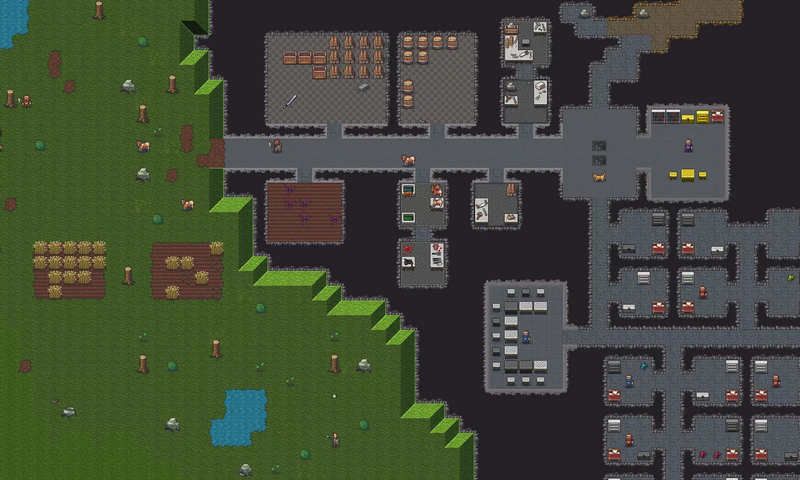 The new, premium edition of Dwarf Fortress will include actual graphics for the first time. Traditionally, the game has only offered ASCII-style icons. According to an FAQ published alongside today’s announcement, the graphics will be handled by Michał “Mayday” Madej and Patrick Martin “Meph” Schroeder, two well-regarded members of the game’s modding community. Another community member, who goes by the handle Dabu, will be handling a musical score inspired by the seasons and select bits of audio. Steam Workshop integration may be the biggest selling point here. Fans have made many mods to supplement the core Dwarf Fortress experience. One of the most popular, called Dwarf Therapist, allows you to troubleshoot individual dwarves, digging down into their wants and needs and even controlling them in ways the base game simply doesn’t allow. Many consider Dwarf Therapist and other mods essential to the gameplay experience, and Steam Workshop support will make accessing them easier than ever before. I'd drifted away from Dwarf Fortress as its complexity became more and more forbidding from the outset, making it hard to just jump in and play it as an ASCII-tastic Dungeon Keeper. I'm not sure if I want the premium version to reveal a more approachable version of DF or act as a kind of sadistic enticement to drown as many humans as possible in the full experience. In either case, you should give the Tarns some money for the dedication and sophistication of their work. We don't talk about this much, but for many years, Zach has been on expensive medication, which has fortunately been covered by his healthcare. It's a source of constant concern, as the plan has changed a few times and as the political environment has shifted. We have other family health risks, and as we get older, the precariousness of our situation increases; after Zach's latest cancer scare, we determined that with my healthcare plan's copay etc., I'd be wiped out if I had to undergo the same procedures.